Another weekend, another race! 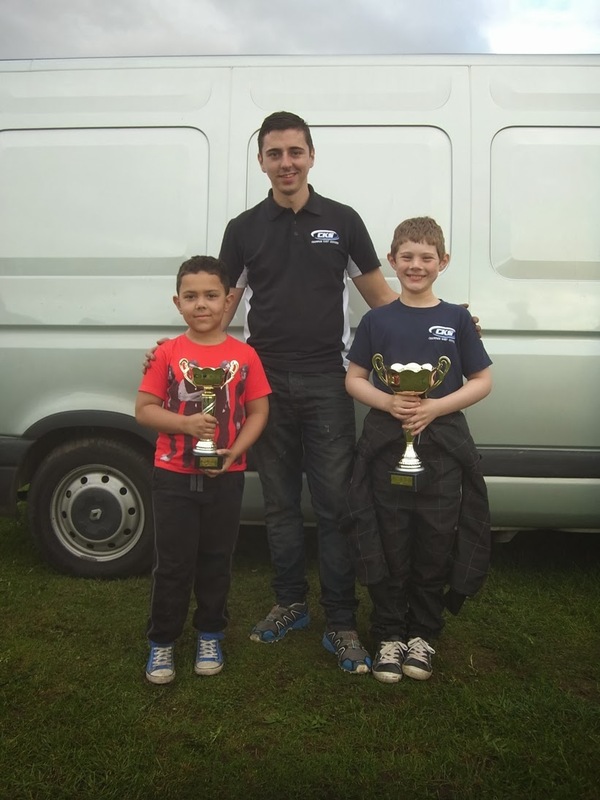 This time Cheshire Kart Racing Club Championship round 9. Three Hondas racing with six Comers. Samuel's random grid positions behind the Comers meant that he started in 6th place for heat one (finished in 3rd - 2nd for Honda) then 7th for heat two (finished in 5th overall, 2nd for Honda) and then for the final heat he was placed 7th again and finished 6th overall but in first place for the Honda's. 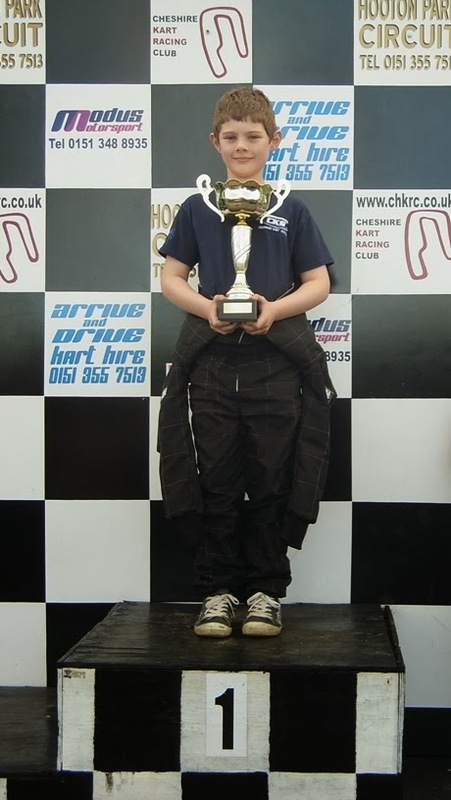 He almost took the fastest lap in the third heat of all the Cadets - just 0.01 seconds behind! Going into the final, he was second on the grid for the Hondas and managed to finish in first place and third overall and set his fastest time of the day - 43.86! And with Ryan from CKS and Troy who took top Novice for the Comers. His next race is next week - 27 October!